"Quel beaulieu !" exclaimed the woman---what a beautiful place. The year was 1900, and the woman was Fernande de Latour. Given the fact that she was looking at the Rutherford Bench, rather than the Promised Land, she might be accused of exaggeration. Still, her enthusiasm was contagious to her husband, Georges. The couple bought the property and named it Beaulieu Vineyard. Though Georges de Latour was not a famous winemaker, he was well-acquainted with vineyard science. 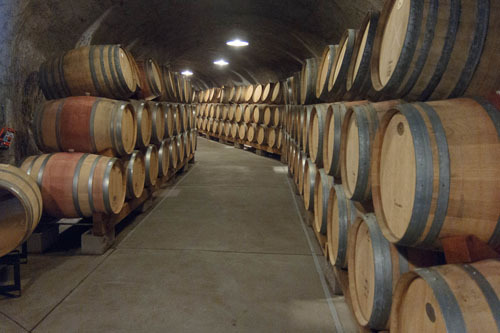 He knew exactly what the Napa had to do to combat the epidemic of phylloxera that was sweeping the valley at the time. He imported phylloxera-resistant rootstock from France, sold it to his American counterparts, and became a wealthy man. Beaulieu Vineyard also florished, becoming one of the best-known Cabernet producers in California. It also had the good fortune not only to survive prohibition, but actually to prosper. 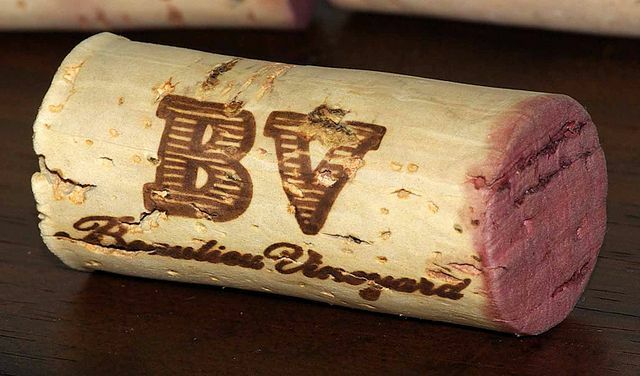 BV was one of the wineries that received a national contract to supply sacremental wine to churches. A lot of people got religion during Prohibition, and by 1923 Latour was able to buy an old stone winery across the road. After Repeal, he was well-situated to make a fortune; unlike many of his neighbors, who had uprooted their Cabernet and planted coarser varieties to make concentrate for shipment back East, Latour had some of the best and oldest vines in the state. 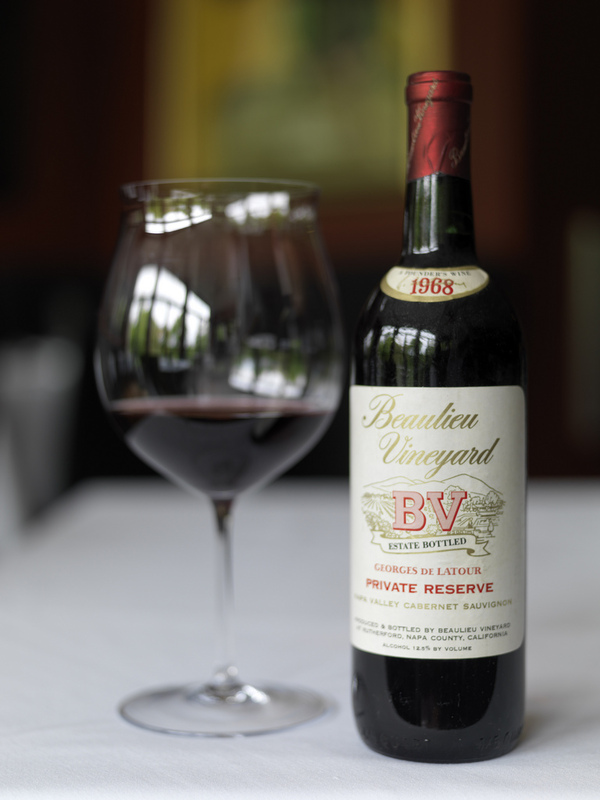 By the 1930s, it became obvious to Latour that he needed a world-class winemaker to take over at BV. He made a pilgrimage back to France, in search of the right individual to carry on his dream. The person he found was André Tchelistcheff, a Russian refugee working for the French Institute of Agriculture. Tchelistcheff arrived in California in September of 1938. Before he could make his first vintage of Beaulieu Vineyard Cabernet, however, Georges de Latour died, and André decided to name the wine after him. As decades passed and BV expanded, the Georges de Latour bottling remained the winery's flagship Cabernet Sauvignon. Jeff Stambor is currently BV's winemaker for Bordeaux varietals, which means he makes Georges de Latour Private Reserve Cabernet, and thus gets to compete not only with the memory of Tchelistcheff (known locally as "the Maestro") but with others who have worked at the winery (guys like Joe Heitz, Robert Mondavi and Mike Grgich). He handles this assignment with seeming ease. Originally from Ohio, Stambor moved to California in the 1970s, fell in love with wine, and began a journey which took him to Argentina and the Cotes de Castillon before coming back to join BV in 1989. He had the opportunity to work alongside Tchelistcheff for several years, and told me that the proudest moment of his career was when the Maestro referred to him, in conversation, as "a colleague." BV Georges de Latour Private Reserve Cabernet is a unique wine in many respects. Though 100% Cabernet, it drinks like a blend, which of course it is---a mix of Cabernet grapes from many of BV's best vineyard parcels. Though quintessentially California in style, it also has the elegance and grace of Classified Growth Bordeaux. The wine has demonstrated extraordinary ability to age, and though it has evolved and changed, it has also been stylistically consistent for many decades. Inky, saturated purple. The nose is alive with aromas of blackberry, vanilla and toasty oak. Full-bodied, spicy and assertive in the mouth, with brooding tannins and blackberry flavors which seem both stewed and fresh at the same time. Solid and richly concentrated, yet profoundly balanced, it has decades of life and improvement ahead of it. Finishes with ripe flavors of plum, dark berry, spice and tooth-coating tannins. Saturated purple-black. Compact, spicy aromas of both red and black fruits highlight the nose. Full-bodied, poised and ripe in the mouth, with excellent acidity and formidable tannins. Despite the power and tannic force of the wine, it displays a succulent core of black fruits which emerges in the midpalate and continues on the long, balanced finish. Deep, saturated purple, with a crimson rim. The nose is earthy and recessed, with hints of truffle, chocolate and damp earth. The wine enters the mouth effortlessly, but flavors of anise, menthol and black fruits build steadily in the midpalate, framed by good acidity and pinpoint tannins. The finish is long and earthy, with suggestions of minerals, chocolate and cola. Brilliant, saturated purple, no sign of age. Loose-knit aromas of Damson plum, baking spices and powdered cocoa highlight the nose. Full-bodied, ripe and harmonious in the mouth, with flavors of blackberry, plum and rhubarb encased ina soft and lush texture. The acidity seems low, and the wine appears to be ripe, forward and ready to drink. The finish is shorter than expected, alcoholic and slightly hot. Saturated purple, with some fading on the rim. The tight, brooding nose gives up scents of spice and cola with coaxing. Medium-bodied, ripe and exotic in the mouth, with suggestions of loquats and marinated Oriental fruits. The finish is bright and brash, with suggestions of stewed berries, minerals and bramble. Remarkably fruit-filled and youthful. Saturated purple-ruby. Aromas of cedar, spice and blackberry jump from the glass. Medium-bodied in the mouth, ripe and compact, somewhat angular compared to the 1987, but still with good acidity. Soft, luxurious flavors of blueberries highlight the midpalate, reminiscent of an old Margaux; the finish is long and tart, with hints of cherry cobbler. Deep, bright purple, with a faint suggestion of brick on the rim. The forward, alcoholic nose is imbued with a range of Sherry-like aromas. Medium-bodied and exotic in the mouth, with flavors of Oloroso, truffle, balsamic vinegar and spiced berries. Finishes long and ripe, with succulent flavors of stewed cherry and rhubarb. In remarkable condition for its age, a testament to BV.